Ecoosi flexible TPR exhaust ducting hose is reinforced with a spring steel wire helix that serves to provide protection and durability for the hose. This flexible TPR duct hose is an industrial duct that is extremely compressible, allowing for easy storage and installation in tight spaces. 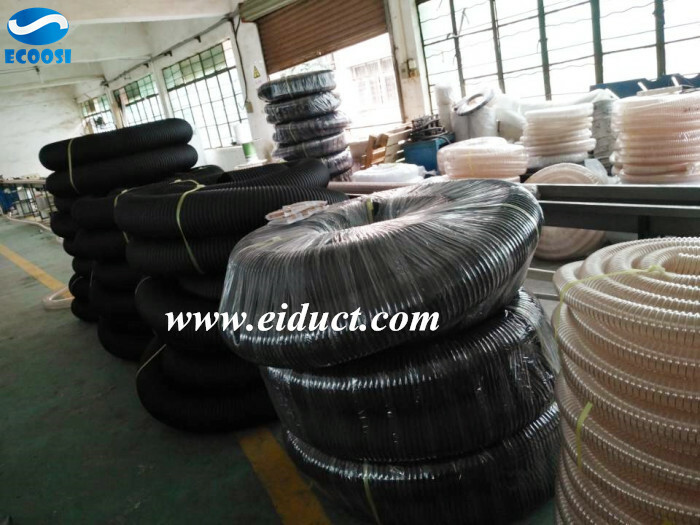 Ecoosi flexible thermoplastic rubber duct hose size range from 25mm to 305mm, standard length is 10 meter. This flexible TPR duct hose is ideal used for various applications such as brake ducting, cab ventilation, cotton picking, flight simulators, pipe organs, and transmission cooling. 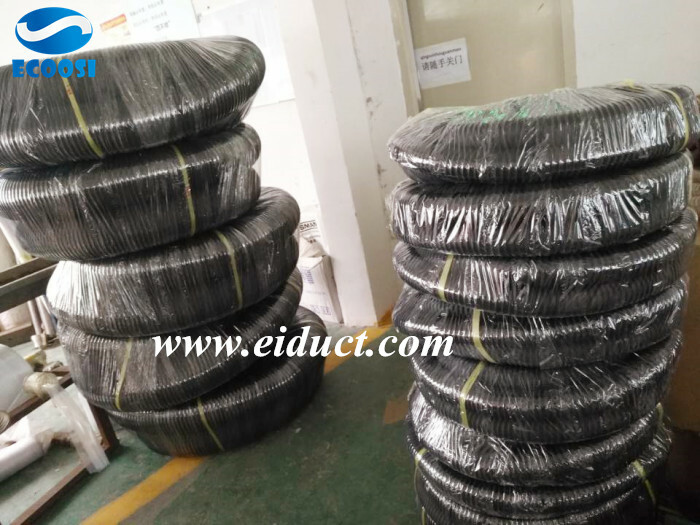 If any interests in our flexible thermoplastic lightweight rubber duct hose please feel free to contact us through email: info@eiduct.com or Mobile(WhatsApp): 00-86-136-5140-9056, we are always here to satisfy your requirement! 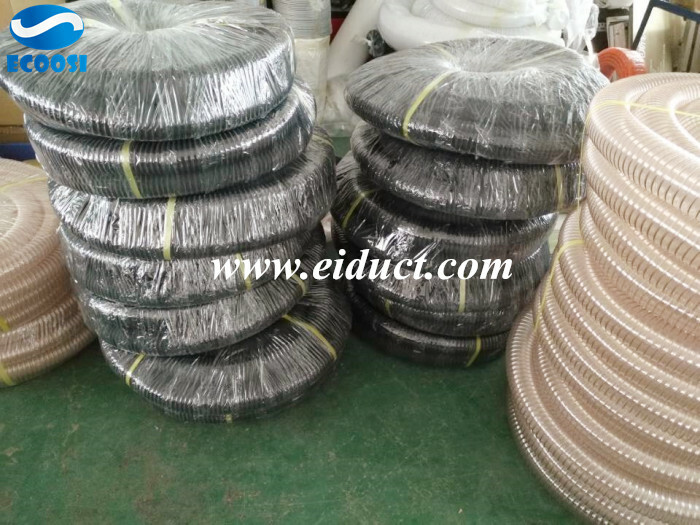 Pre：What is the advantages of PVC plastic hose, PVC industrial hose, PVC spiral hose? 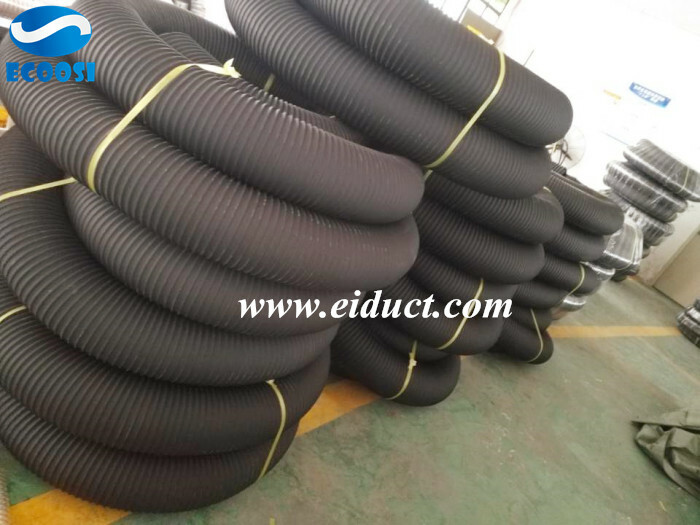 Next：What is the application of Ecoosi double layer silicone flexible duct hose?